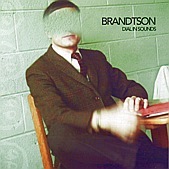 Rich melodies combined with guitar-driven mid-tempo rock, well-written lyrics, and honest emotions running wild, Brandston delivers a traditional emo record that will appeal to pop and emo fans alike. Unlike other emo albums, they don't wear on your nerves, knowing when to get soft and make you feel the music, with perfect timing on the rock, cranking it up and blasting it out when needed. This is a solid rock record too emotional and too real to be referred to rock, but too genuine and too much a labor of love to be simply tagged emo and left at that. This is a crushing blow of rock and emo wrapped tightly in a shiny package, waiting to be opened by you. I'll give it a B+.